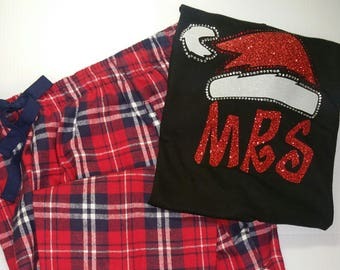 Are you ready to BLING for Christmas in this Mrs. Santa Hat Rhinestone and Glitter Shirt? Design is created with Sparkly Rhinestones and Glitter. 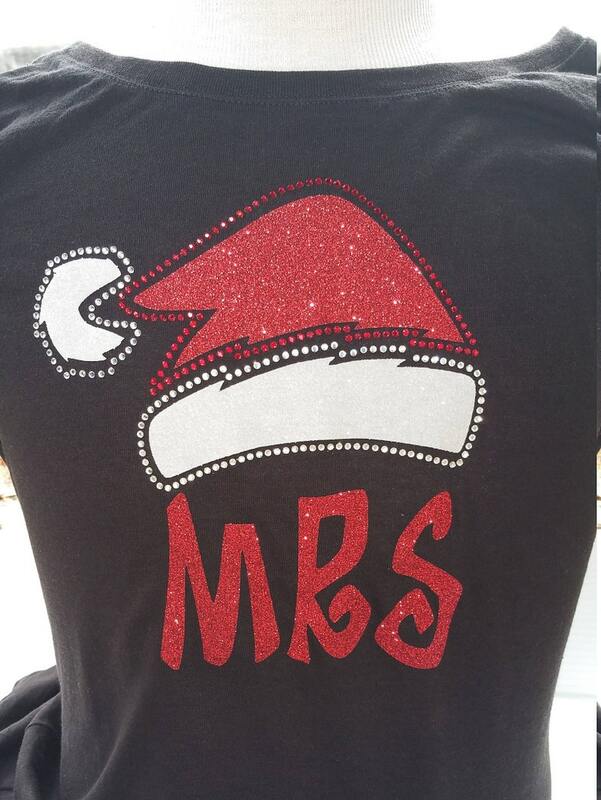 Shirt options are Ladies Classic Fit Soft Jersey Crew-neck, Ladies Slim Fit Fine Jersey V-Neck, or Ladies Scoop-neck. 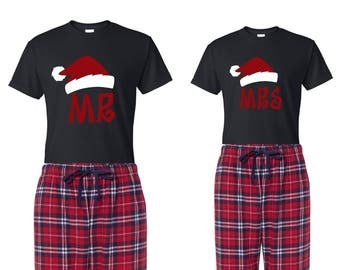 Please refer to sizing charts for each separate shirt which are posted in the listing pictures. 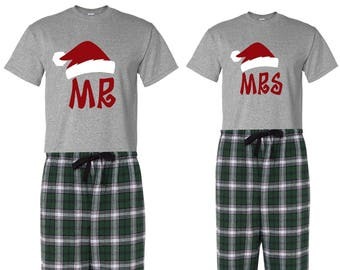 Add a Mr. Santa Hat Tshirt from our alternate listing to complete the set. 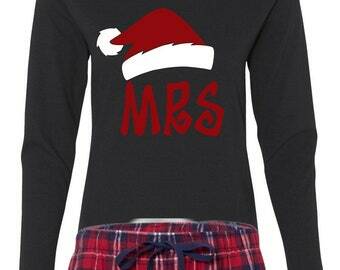 Additional expedited shipping options are available at checkout.